We didn’t see wild elephants today but there was a chance we might and on wildlife treks that is often as good as it gets. 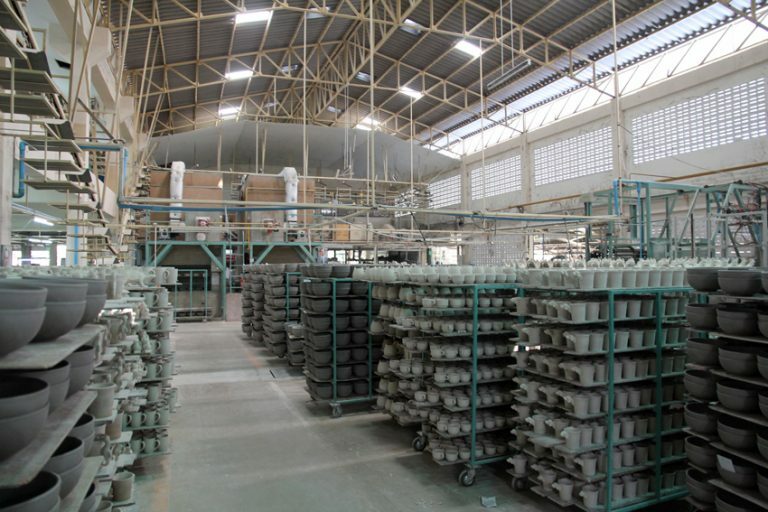 We weren’t trekking to be fair, this is a business trip to Meelarp Ceramics in Lampang, 95km from Chiangmai. The road cuts through mountains and forest which make up one of Thailand’s nature reserves. Between them Chiangmai and Lampang have 13 nature reserves. The heat was intense; without air-conditioning Jeremy and I would have made a good impression of chickens browning in a rotisserie. 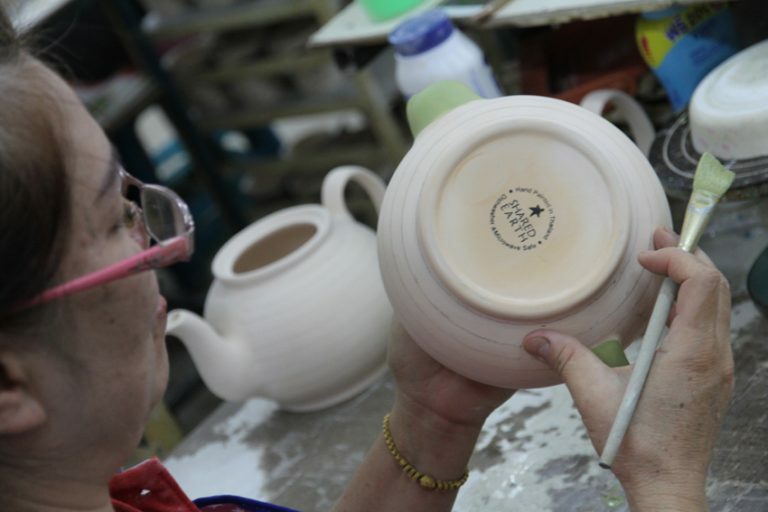 Meelarp Ceramics is another factory set in an oasis of orchids, coconuts and sub-tropical butterflies. If you are going to spend your day working in a factory it is not a bad place to site it! "When I started the company 28 years ago we had only 6 employees; now we have 200,” says the Managing Director, Mr. Meelarp. He is proud of what his company has achieved, and of the wider changes he has witnessed across Thailand over that period. For example, at the beginning, workers would bring their children with them to the factory. Mr Meelarp was convinced that children should be at school, learning skills in order to be able to improve their quality of their lives. It was also the case back then that most families had five or more children. All that has now changed, as it does everywhere where women get a chance to become literate, earn money, and organise their own family planning. Now the number of children per couple in Thailand is comparable with the figures in all developed countries. For a Fair Trade company like Shared Earth, working with producers and suppliers to encourage and support them to improve the working conditions and quality of life of their staff in hugely important. You can tell as soon as you enter a factory whether the workers are well treated. 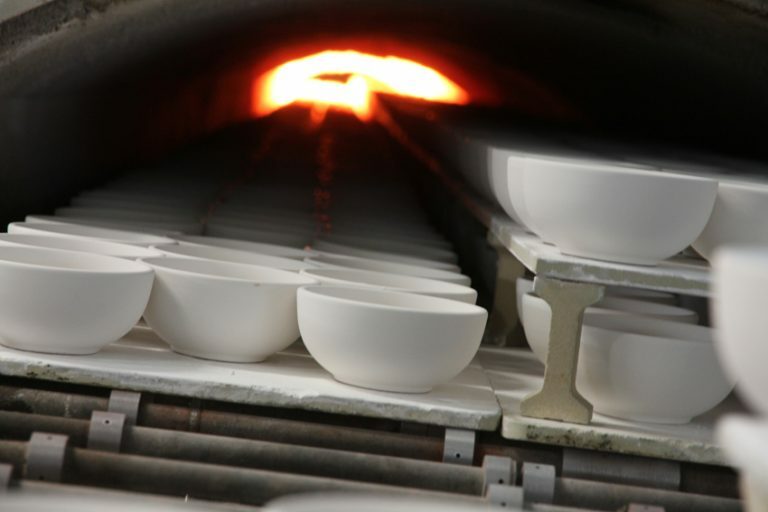 Sustainability also matters: to Shared Earth, to the World Fair Trade Organisation, and to Meelarp Ceramics. At the entrance to the factory there is a large waterwheel. While it is currently powered by the grid Mr Meelarp is not opposed to investing in renewable energy. The water wheel oxygenates the fish pond and irrigates a small organic allotment plot within the factory grounds. Mr Meelarp laments the fact that his younger employees want spicier food and French fries instead of organic produce but he knows his company is setting an example for others. 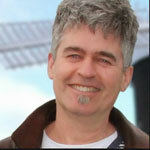 Shared Earth is happy to consider Meelarp Ceramics a Fair Trade company. By the time we return to Chiangmai we are famished. A riverside restaurant with a great view and even better food is perfect. It is also great be eating in the company of Kwan and her friend; they have been showing us round the Chiangmai night market and introducing us to small producers so a special thanks to them.